Biography & Genealogy: Alfred Jefferson Vaughan, Jr., Class of 1851. (lower right in image). Genealogy: Born- May 10, 1830, in Dinwiddie Co., Va. Father- Alfred Jefferson Vaughan; Mother- Dorothy Vaughan. Pat. Grandfather- Peter Vaughan; Pat. Grandmother- Martha Boisseau. Mat. Grandfather- Robert Vaughan; Mat. Grandmother- Lucy Hunt. Married- Martha Jane Hardaway; 8 children. Military Record- Civil War; Brigadier General, 13th Tenn. Infantry, Confederate States Army. Career: Civil Engineer, Farmer, Merchant, Clerk of Court. 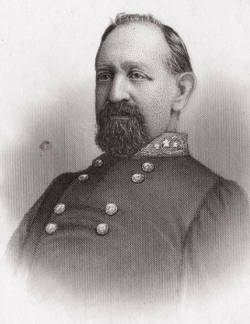 Died- Oct. 01, 1899, in Indianapolis, Ind, buried in Memphis, Tenn. See "web resource" link for biographical details.